Platinum Play Casino has been entertaining players since 2004 with the finest in online entertainment. The Casino has opted for the trustworthy Microgaming platform with over 700 casino games which are offered online plus a mobile casino version. Safety and security is a priority, as a result the casino ensures that all their players are 100% protected. Importantly, the casino offers a 24/7 customer support team who are fully trained and ready to assist with any query or problem that may arise. 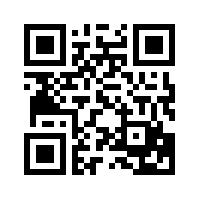 Platinum Play offers game software and/or support in a multitude of languages! German, English, Spanish, Norwegian, Portuguese, Swedish, and Greek! Players who register a Real Money account at Platinum Play will receive a New Player Bonus of $/€1,000 free and 100 Free Spins. Players get a 100% match bonus up to $/€200 on each of their first 5 deposits. In addition, players will receive the 100 Spins on the third and fifth deposit. The Welcome bonus is for new players. The casino rewards existing players through the year with monthly promotions. These promotions include the opportunity to win cash prizes in the forms of Free Spins and deposit matches. The casino even sponsors some major prizes such as cruises and cars. 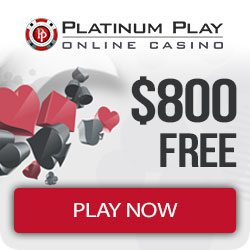 Platinum Play Casino offers great Bonuses and Support! Microgaming powers All the games at Platinum Play Casino. Furthermore, Microgaming are one of the leaders in online casino gaming software. As a result, you can expect games of the best quality. The games offer a smooth interaction and nothing but action-packed entertainment. Most of all, the games have been designed to work perfectly on either Desktop or Mobile. If you love slots, Platinum Play is certainly the place you need to be. Microgaming have many affiliated casinos contributing to the network wide progressive jackpot. As a result, the big jackpots are really huge! Finally, even the lesser payouts are not to be sneezed at. There are currently 360 different slot machines at Platinum Play Casino! Multi hand variations of the games are available! Platinum Play Casino continues with the mobile casino platform powered by Microgaming. Not only does it have a good variety of games, but it also comes with a rounded welcome package that makes the casino appealing. Register on the mobile casino and claim your Bonus. To make payments from the account, just go to the cashier and choose from the featured banking methods. Other operating systems compatible with Java.